Naji HR, Nia MF, Kiaei M, Abdul-Hamid H, Soltani M, Faghihi A (2015). Effect of intensive planting density on tree growth, wood density and fiber properties of maple (Acer velutinum Boiss.). iForest 9: 325-329. Planting density is a major factor in determining tree growth and wood quality. Although the effect of low planting density on the variation of tree and wood characteristics has been already reported, the effect of intensive initial densities in plantations has not been fully assessed yet. In this study, the effect of intensive planting densities on tree growth, wood density and fiber cell properties was investigated in the context of the development of densely-stocked maple plantations for wood production. The study was carried out in a 12-year-old Acer velutinum trial plantation in northern Iran, with initial densities of 10000, 4444, and 2500 trees ha-1 planted. The variation of diameter at breast height, annual ring width, stem taper, wood density, and fiber cell properties were examined. As expected, low planting densities showed trees with larger diameter at breast height and annual ring width. The largest trees at higher densities were smaller than those in lower planting densities. However, initial planting density had no significant effect on stem taper, wood density and fiber cell properties. In addition, no significant relationships between tree growth features and wood properties were detected, indicating similar wood properties at all planting densities. Therefore, stand/tree growth attributes under intensive planting densities could not be considered as reliable predictors of the wood properties. Effect of faster growth on timber quality of teak. KFRI Research Report 132, Kerala, India, pp. 61. Why is there so little research into the cell biology of the secondary vascular system of trees? New Phytologist 153: 213-223. Effect of initial planting spacing on wood properties of unthinned loblolly pine at age 21. Forest Products Journal 58 (10): 78-83. Wood density and fiber length in young Populus stems: relation to clone, age, growth rate, and pruning. Wood and Fiber Science 34 (4): 529-539. Wood density of young-growth western hemlock: relation to ring age, radial growth, stand density, and site quality. Canadian Journal of Forest Research 34: 2433-2442. Effect of planting distance on fiber morphology and physical properties of maple (Acer velutinum). MSc thesis, Faculty of Wood and Paper Science, University of Gorgan, Gorgan, Iran, pp. 85. The relationship between cell length and ring width and circumferential growth rate in five Canadian species. IAWA Journal 21 (3): 335-345. The form and taper of forest-tree stems. Paper No. 3, Imperial Forestry Institute, University of Oxford, Oxford, UK, pp. 84. The effect of competition on stand, tree, and wood growth and structure in subtropical Eucalyptus grandis plantations. PhD thesis, Southern Cross University, Lismore, NSW, Australia, pp. 193. Stem taper equations for poplars growing on farmland in Sweden. Journal of Forestry Research 24 (1): 15-22. Properties of hybrid poplar juvenile wood affected by silvicultural treatments. Wood Science 10: 198-203. Wood - Sampling methods and general requirements for physical and mechanical tests. International organization for standardization, Geneva, Switzerland, pp. 1-4. Wood - Determination of density for physical and mechanical tests. International Organization for Standardization , Geneva, Switzerland, pp. 1-2. Wood quality of Sugi (Cryptomeria japonica) grown at four initial spacings. IAWA Journal 26 (3): 375-386. Effect of stand and tree attributes on growth and wood quality characteristics from a spacing trial with Populus xiaohei. Annals of Forest Science 64: 807-814. Determination of fiber length and juvenile and mature wood zones in Acer velutinum Boiss. trees grown in Iran. Forest Study in China 14 (4): 323-326. Effect of growth rate on the anatomy, specific gravity, and bending properties of wood from 7-year-old red alder (Alnus rubra). Canadian Journal of Forest Research 27: 80-85. A review of the effects of silviculture on timber quality of Sitka spruce. Forestry 75 (2): 107-139. Wood density and fiber dimensions of Gmelina arborea in fast growth trees in Costa Rica: relation to the growth rate. Investigación agraria, Sistemas y recursos forestales 16 (3): 267-276. Intra- and inter-clonal tree growth variations of Hevea brasiliensis. Journal of Forestry Research 23 (3): 429-434. Intra- and interclonal variation in anatomical properties of Hevea brasiliensis Muell. Arg. Wood and Fiber Science 45 (3): 268-278. Effect of initial planting density and tree features on growth, wood density and anatomical properties from a Hevea brasiliensis trial plantation. Forest Products Journal 64 (1-2): 41-47. Effects of thinning on wood properties and stem quality of Picea abies. Scandinavian Journal of Forest Research 14: 38-50. Influence of thinning and tree diameter class on the development of basic density and annual ring width in Picea abies. Scandinavian Journal of Forest Research 14 (1): 27-37. SPSS survival manual: a step by step guide to data analysis using SPSS (4th edn). McGraw Hill Education, Berkshire, UK, pp. 352. Textbook of wood technology (4th edn). McGraw-Hill, New York, USA, pp. 722. 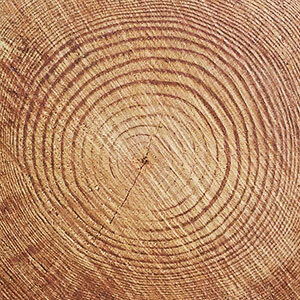 Tree growth, forest managements and their implications for wood quality. PNW 576, Oregon State University, A Pacific Northwest Extension Publication, Corvallis, OR, USA, pp. 1-8. The influence of specific gravity and rate of growth upon the mechanical properties of sugar maple in flexure. Station Bulletin no. 597, Purdue University, Agricultural Experiment Station, Lafayette, IN, USA, pp. 26. Improving the spatial arrangement of planting rubber (Hevea brasiliensis Muell. Arg.) for long-term intercropping. Field Crops Research 89: 327-335. The effect of planting spacement and pruning on growth, yield and timber density of Eucalyptus grandis. Journal of South African Forestry 88: 16-23. Stem form changes in un-thinned slash and loblolly pine stands following mid-rotation fertilization. Southern Journal of Applied Forestry 12 (2): 90-97. Wood and fiber properties of Norway spruce and its suitability for thermo-mechanical pulping. Acta Forestalia Fennica 249: 1-55. Correlations and clines in tree growth and wood density of Balanites aegyptiaca (L.) Delile provenances in Niger. New Forests 39: 39-49. Wood variation: its causes and control. Springer, Berlin, Heidelberg, Germany, pp. 362. Silvicultural effects on wood properties. IPEF International, Piracicaba, Brazil, vol. 2, pp. 31-38.